Mr. Maddox writes he will go over the audit and speak with Mr. Alston about getting a financial statement for the schools. He will advise Miss Berry in a few days. 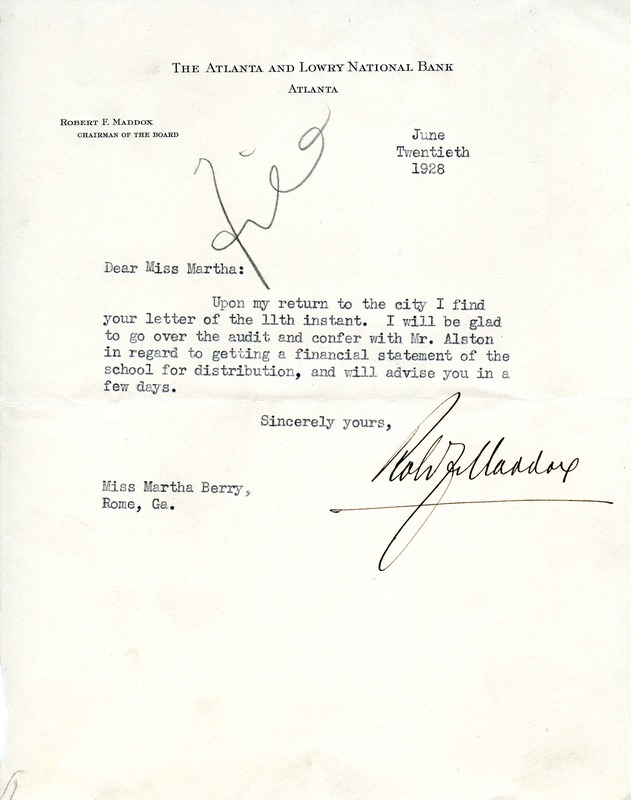 Mr. Robert F. Maddox, “Letter to Martha Berry from Robert F. Maddox.” Martha Berry Digital Archive. Eds. Schlitz, Stephanie A., Rachel Renaud, et al. Mount Berry: Berry College, 2012. accessed April 18, 2019, https://mbda.berry.edu/items/show/8352.